Municipal, County and State Agencies have incentives or mandates to do a percentage of their purchasing with Small Business Enterprises. Many large corporations have policies in place to encourage doing business with Small Business Enterprises. Instead, think of it as a very good reason to let us prove to you that American Wear is your best choice. 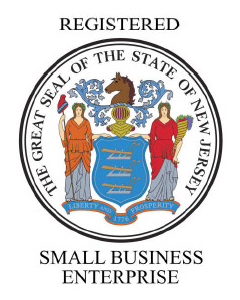 Our status as a registered Small Business Enterprise is an added bonus that will help your organization to meet it’s goal of supporting Small Businesses in the New York and New Jersey metro area. American Wear employs a diverse workforce. We are located in an Urban Enterprise Zone in East Orange, New Jersey.